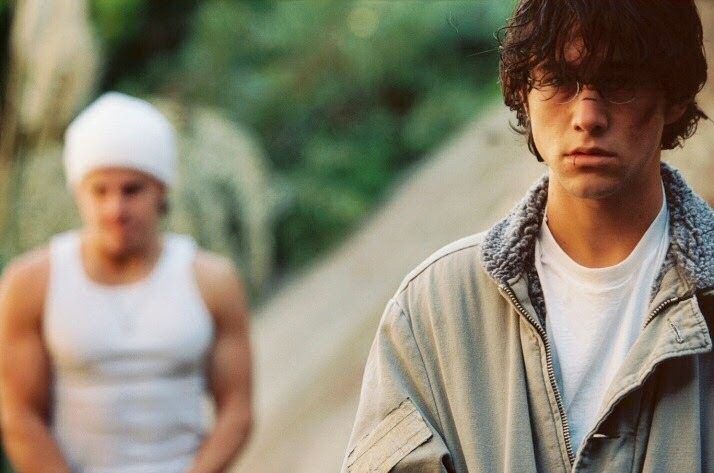 After his breakout role in "Mysterious Skin," Joseph Gordon Levitt followed that up with another sleeper indie hit in "Brick" the debut feature of writer/director Rian Johnson. "Brick" takes the classic noir crime drama and plants it in a modern day high school. Levitt plays Brendan a scrappy loner who finds the dead body of his old girlfriend. We then flashback a couple of days to see all of the events that lead up to this discovery and who is ultimately responsible. Emily played by Emile De Ravin is the girl in question, she has drifted away from Brendan and has fallen into a dangerous crowd. Her new boyfriend Dode is a low-level sleazebag who belongs to a bigger group of shady characters. Brendan fears for her safety and when she goes missing his search for answers leads him into the underground world of a young crime boss known only as the Pin (Lukas Haas). With help from his only friend, The Brain, Brendan literally takes a number of beatings, mostly doled out by Tugger, to finally meet with the Pin himself. The Pin is about 26 years old and has adopted the style of a 1970s godfather, although he operates in the basement of his oblivious mother's basement. There are moments of ridiculous humor at the mother's expense that make the Pin a more rounded character. Although it is best not to cross him as his calm demeanor can be a bit deceiving. Rian Johnson has created a unique and interesting world with a language all its own. The characters dialogue is peppered with its own slang giving it an authentic and gritty feel. The structure and atmosphere of the film are right of a Dashell Hammett novel if adapted for a younger crowd. All of the regular conventions are present. You have your innocent man, the dead girl, the kingpin, the enforcer, and of course the femme fatale. 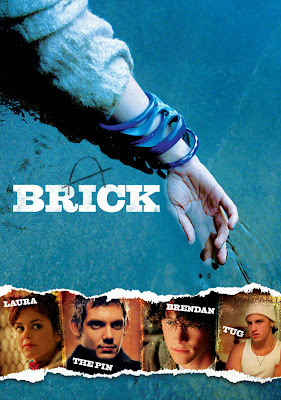 Laura fills that role perfectly in "Brick". She is rich, beautiful and could be the key player in finding what happened to Emily. Driven to the point of physical and mental exhaustion Brendan's intensity and determination refuses to quit. One by one he gathers clues and digs himself a big hole he can hopefully get out of. When things disintegrate within the Pin's inner circle its everybody for themselves and everyone has a play. In this chess match, someone is going down hard and Brendan must be a step ahead of everyone to get out alive.